Is Paying for Radio Promotion Still Worth It? For years now, the music industry has been moving away from its tried-and-true methods of business and promotion, switching from physical CDs to digital downloads, and from print media to the blogosphere. While everything seems to be changing, some of the older ways have stuck around, and many of them – like radio – are still surprisingly effective. Adam Lewis, co-founder of the Planetary Group, has worked in radio promotion for decades and says there’s a lot to be gained in sending your music to radio stations, especially for up-and-coming bands. What exactly is it that you do for artists? We introduce new artists and releases into the radio marketplace. We spend a lot of time educating music directors about who a band is, what they're about, and getting stations excited about them. It all comes down to the music. If the band or artist is great, we want to be involved. I'm not really concerned if a band is signed or unsigned, or if they're touring or not. We're not even worried if a band has a manager or not. If the music is great, college radio will play it. What kind of stations do you reach out to? We avoid non-specialty Top 40/commercial radio stations. We talk to over 300 college radio stations every week, and also target many online, community, public, satellite, and commercial stations that have specialty programming. Basically, we talk to the types of stations that are supportive of playing the music of new artists. Our goal is to get our clients on the CMJ charts, so we have to talk to as many CMJ-reporting stations as we can. We also target the Canadian Earshot college chart. We have a five-person radio team that covers those stations every week. What's the process of getting a song on the radio? What does a campaign look like from start to finish? It's very simple, actually. You service the station with the music, and you follow up. Radio promotion is the one thing that's very hard for bands to do themselves because there are so many outlets, and they're all very different. They have different office hours and prefer different modes of being serviced. Some want to be emailed, some called; some stations want hard copies, and some want the music digitally. We call the stations every week, 50 weeks out of the year, and have been doing it for almost 20 years. All plans start with a timeline. We figure out an "add date," which is the date (always a Monday) that we want the stations to start reporting their airplay to CMJ. Then, we work backwards from there and figure out the shipping date. We take care of mailing the CDs to the stations. This way, the CDs come in a Planetary package that the station is used to receiving. We always mail first class and 10 days prior to the add date, so they all arrive at the same time. Two to four weeks before the CDs arrive, we tell the stations to look out for them. We use that time to educate the programmers about the artist: where they're from, what they're about, what they sound like, etc. Our goal is to get them excited for the CD, so that we get a good amount of adds in the first week of the campaign. We like to send out a digital single a month prior to the release as well, if we can. This is part of the setup. Once we go for adds, we follow up with the stations every week, trying to convert that add into light, medium, or heavy rotation play. Hopefully, after a few weeks of follow-up, the CD will enter the station’s Top 30 charts. If enough of the stations chart it in their Top 30, it will enter CMJ's Top 200 Most-Played chart (or a specialty chart, if it's a specialty CD). We'll follow up with a station for eight weeks on a full-length record and six weeks for an EP. All of the information that we get from the stations ends up in a weekly report for the clients that shows exactly where they're getting airplay and how much. We love when an artist is active on a campaign and makes thank-you calls to stations – it really helps bond the artists to the stations and only helps with a record's performance. They can also use their contact with stations to help with booking college dates or to get stations and DJs involved with local concerts. 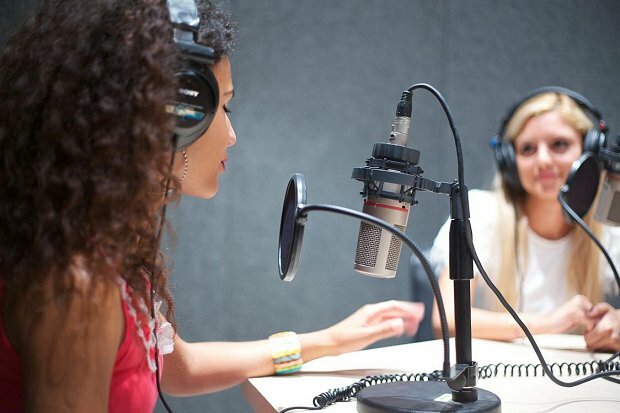 What's the cost of a radio promotion campaign? Generally speaking, promotion costs from $1,800 to $2,400, depending on whether we're doing an EP or a full-length release. The only other expense that factors into the campaign is the cost of postage. We normally mail out 300 CDs to radio stations, so postage and mailers will normally run about $750. You can go all-digital if you want to save postage costs, but generally, you're much better off sending hard copies – you'll get much more airplay in the long run. You've spent a lot of time, money, and effort making your album. There's no point not promoting it. You should always factor a promotion budget into the cost of a new release.